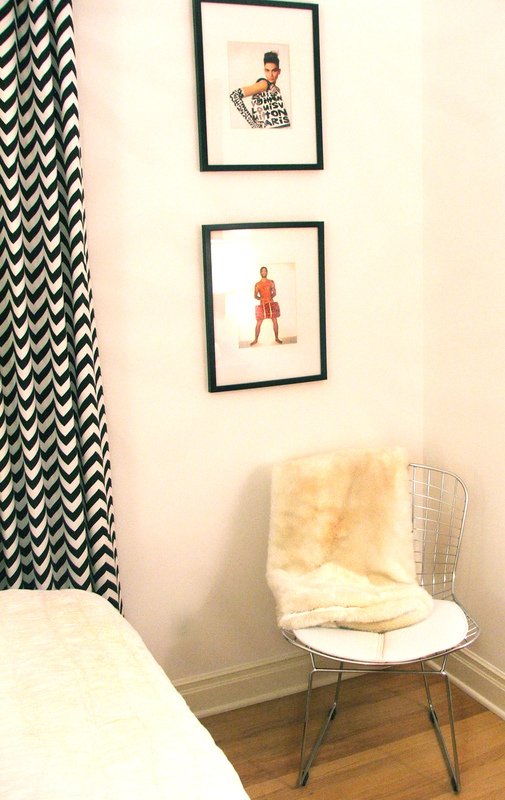 I designed a small bedroom for a 16-year-old client recently and I thought I’d share about working in a small space. Working in small area has its challenges. Everything has to have a purpose and space management is everything. Fortunately, my client was a very organized and that is key to making it work. Sometimes people have a tendency to collect too much stuff and they don’t have any idea what do with it all. The key word is edit. Go through all your goodies and kiss some of it good-bye. You will be happier with space and organization then a room with nowhere to turn. So, edit, edit, edit, you might even find things you forgot you had. Another thing to keep in mind is scale. Even though this was a small room I used a fun and funky light fixture that was large in scale. 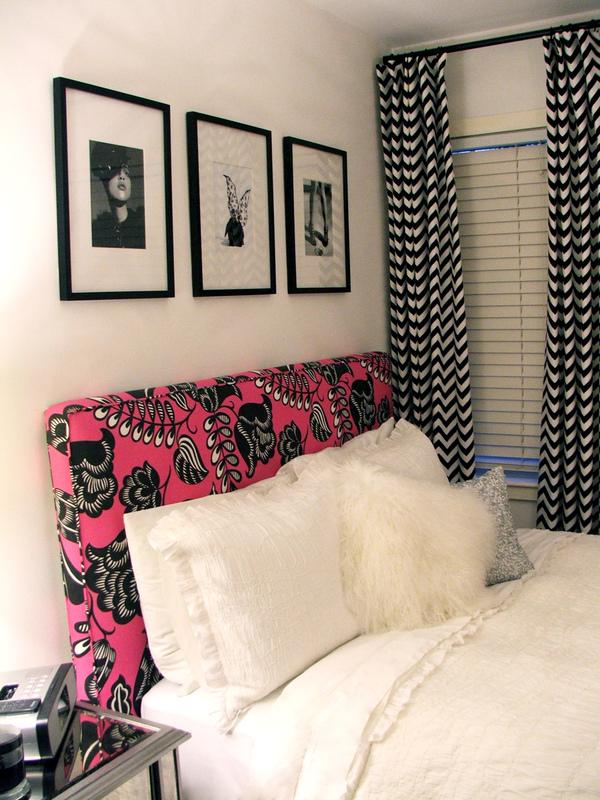 I kept the walls neutral and added graphic element’s like the black and white Chevron drapery panels and the head-board made in Designer Guilds Coconut Grove pattern. I used a large-scale mirror to help reflect light and add visual space. The night stand was mirrored so it added reflective space. The wire chair since it was light and airy didn’t use much visual space. The dresser was also large in scale and was the clients and they had wanted to keep it and I thought we could make it work. So, it was painted and some new mercury glass knobs were added from Anthropologie. So, keep in mind if you have a small space everything doesn’t have to be small in scale. But balance and making sure everything has a purpose is a great design tip for a small space.